October the 21st: Santiago. October the 22nd: Viña del Mar. October the 23rd: Temuco. October the 25th: Concepción. Highway Star, Hard Lovin’ Man, Maybe I’m A Leo, Strange Kind Of Woman, Rapture Of The Deep, Mary Long, Contact Lost, When A Blind Man Cries, The Well Dressed Guitar, Knocking At Your Back Door, Lazy, No One Came, Keyboard Solo, Perfect Strangers, Space Truckin’, Smoke On The Water. Encore: Hush, Bass Solo, Black Night. The above set list was the same the band played the next day in the city of Viña del Mar. The gig was held at the Quinta Vergara venue. It was good to hear Knocking At Your Back Door. It was the first time I heard it played live by the band. My girlfriend and I flew to Temuco to catch the next gig, which was held at the Gimnasio Olímpico UFRO venue. This time the set list had some changes: Woman From Tokyo replaced Mary Long, Sometimes I Feel Like Screaming replaced When a Blind Man Cries, and Mary Long replaced Knocking At Your Back Door. The new set list was the same for the next gig in Concepción. 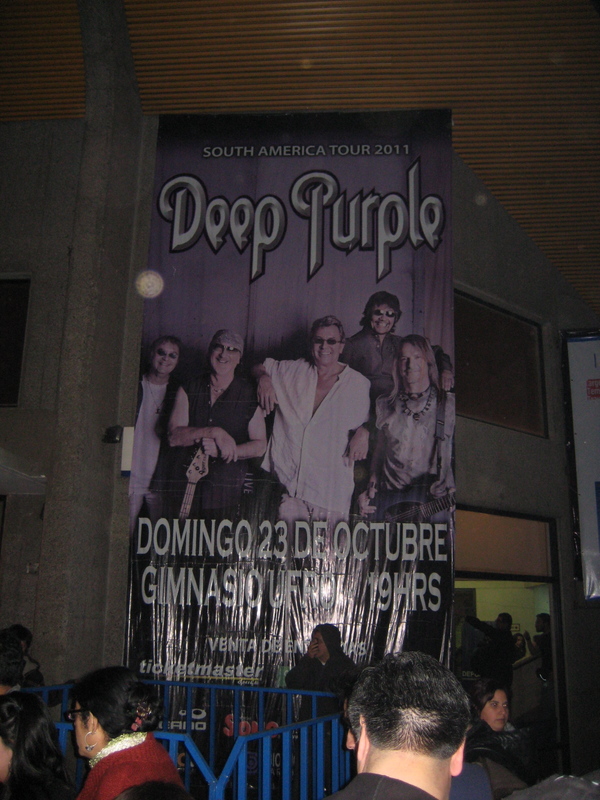 Back in our home town of Concepción, we prepared for the “Last Concert In Chile”, to be held at the Gimnasio La Tortuga. The gig was intense, loud and powerful. Bottom line? 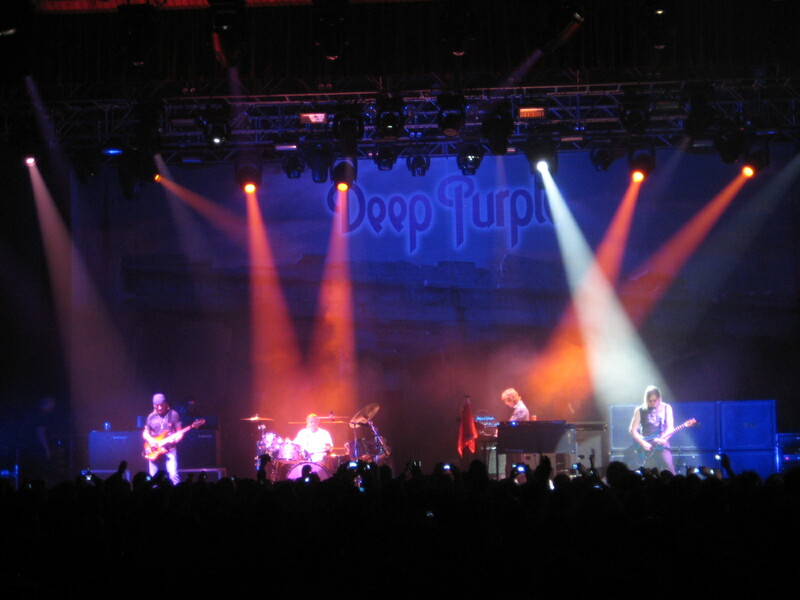 Deep Purple Mk VIII is the most powerful and precise hard rock band in the world. Don Airey and Steve Morse have super human technical skills. Roger Glover and Ian Paice make one of the most solid and strong rhythm sections. And Ian Gillan… I can`t imagine today a Deep Purple line up without him. After all that terrific performances the band has shown on stage for the last years, I think the world of music deserves a new Deep Purple studio album in 2012… even if it’s the last one (at the current rate, time between albums seems to be 7 years…).